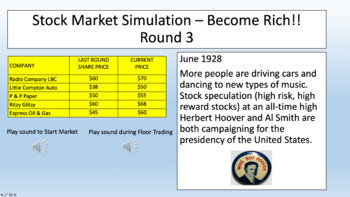 Bring history alive for your students! 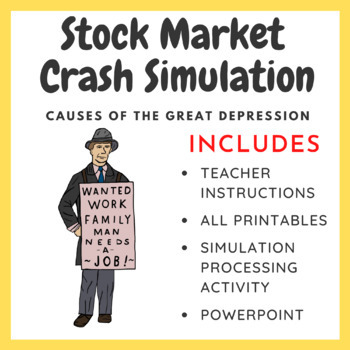 This is a one day stock market simulation that will help your students understand the major causes of the stock market crash of October 29th, 1929 while role playing and while working together! 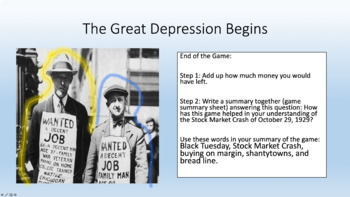 This lesson is an amazing way to start your unit on the Great Depression! 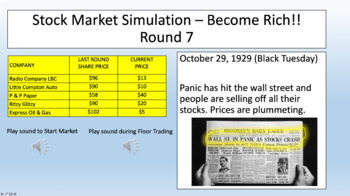 This lesson provides students with a general understanding of how the stock market operates and how stock speculation works. This lesson will bring history alive for your students! I have done this lesson numerous times with 10th and 11th graders. This lesson can be easily modified for lower grades. Enjoy!